"Among the soloists from the chorus Pamela Dellal conveyed the necessary deep consolation with her heartfelt "Erbarme dich," dispatched with great vocal control and a beautiful depth of tone." "...and Juno (Pamela Dellal) vied for the title. The fine cast of singers had fun with their roles, with the women preening for Paris and exchanging icy stares among themselves." "I arrived just as mezzo-soprano Pamela Dellal was launching into Handel’s great lament from Rinaldo, “Cara sposa”...Dellal’s voice was ripe with warmth, yet she could also handle the difficult runs." "As the prophet Daniel, mezzo Pamela Dellal offered rich sound, dignity, and, in the interpretation of the handwriting, a high level of musical and verbal imagination." "she sang with uncommon intelligence and a vivid response to the words. Her tone was lovely across a wide range of pitches and dynamics and especially beautiful in pianissimo, and she offered something you rarely hear in this music: She sang it exactly in tune." "Full of wonderful color and nuance, her creamy mezzo dipped into its warm low register with absolute ease." "I am very fond of the Alto Rhapsody...which I thought was beautifully done. The alto soloist was absolutely outstanding. Lovely tones and gentle yet rich and catching the profound longing yet nurturance that I feel in that piece." "But it was mezzo-soprano Pamela Dellal who conveyed listeners to the sublime heights. Partnered by...violinist Danielle Maddon, the two performed "Erbarme dich" as if it were the last music anyone would hear on this earth. After that, one could happily shuffle off this mortal coil." "...Miss Dellal had to be ranked first among the soloists. Her exquisite vocal color was matched by musical sensitivity... Miss Dellal's aria in response was deeply felt, and the second half of it... contrasted brilliantly with the first. It all led up to a final "It is finished" that was utterly pathetic in its matter-of-factness." "mezzo-soprano Pamela Dellal...was lushly fluid". "alto Pamela Dellal handled her "Domini Fili unigenite" solo and its lung-taxing two- and three-word phrases with aplomb." "Energy levels shot up whenever mezzo soloist Pamela Dellal took stage...[she] showed us what baroque expressive gesture can be, and what richly impassioned singing is." 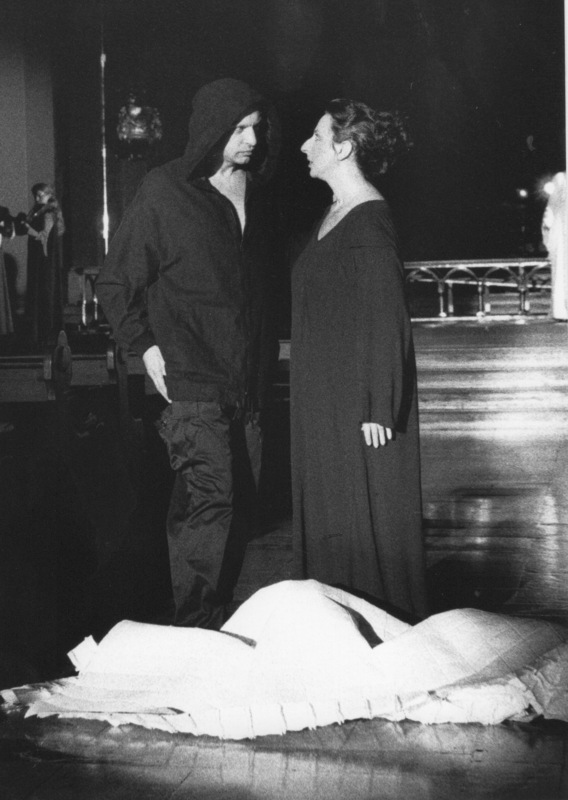 "Pamela Dellal’s mezzo conveyed masculine power and androgynous sensitivity as Annio, and her fluid upper register made a compelling argument for pardoning Sesto in “Tu Fosti Tradito”." "Dellal’s mezzo soared thrillingly on top, and she had excellent command of the phrasing in the music." "Among the standouts were...Pamela Dellal's warmly focused Paulina..."
"Mezzo Pamela Dellal brought her customary intelligence and conviction to the part of Bradamante, sustaining the exhausting zeal of a character who can't get out three words without a Handelian explosion of running semiquavers." "As Sesto, Dellal combined her usual sympathetic presence and vocal warmth with masterful coloratura technique...(a marvelous role for mezzo-soprano Pamela Dellal, who stole the show)"
"Mezzo Pamela Dellal sang her heart out as the conflicted Sesto, offering virtuoso command of coloratura, tonal beauty, lovely dynamic shading, and passionate emotion." "Pam Dellal, the wonderful Boston mezzo who has an international reputation in early-music circles, appeared as Ruth, the pirates' slovenly gal Friday. Dellal can usually be found singing Handel in the likes of Jordan Hall, but there she was last weekend on the stage of RIC's new Sapinsley Theater, picking her teeth, swigging whiskey and looking crazed and bug-eyed." "...the main character of the story...beautifully realized in voice and body by Pamela Dellal..."
"Pamela Dellal's Dido boasted some gleaming vocal colors and firm, steady tone, a sure sense of dramatic portrayal and faultless musicianship. Of the great aria 'When I am laid in earth,' which was provided with a light but telling ornamentation, she provided an account that was blessedly first-rate, its intelligence and control worthy of comparison with anybody's." "Pamela Dellal, the saucy and voluptuous maid, had a marvelous comedic flair that captivated the audience as completely as the various men in the cast." "Among the well-blended Three Ladies, the mezzo simpatico Pamela Dellal found a remarkable balance between passionate conviction and comic self-remove." "Dellal...sang all the songs with a rich though not overbearing tone and remarkable expressive subtlety. Her ability to suggest various characters with almost imperceptible changes in tone color proved particularly compelling in “Die Sterne schau’n in stiller Nacht,” adding a moving dimension to the sweetness of the narrative." "Dellal was at her best in this vocally extraordinarily difficult work. As Pittman noted in his introduction, it is pointillist, and Dellal, with her perfect diction, was up to the task of hitting various juxtaposed, disparate high and low pitches spot on. The last syllable of the last line of the last poem, “Lalla-la, lalla-la, lalla-la, lu!” was exquisite." "Ms. Dellal, for the most part singing what poetically is a boy’s voice, was all Rocket J. Squirrel spunky, with excellent diction...and, in the later numbers, with affecting tenderness." "The intermittent outbursts of response to the text came through clearly, and Dellal’s tonal accuracy was hard to believe, especially in the more-disjointed melodies." "Mezzo-soprano Pamela Dellal and lutenist Douglas Freundlich gave a fascinating concert of 17th-century French airs de cour for an enthusiastic audience at the [Boston Early Music Festival]. Dellal is a singer whose large voice and abundant wit and tonal color are perfect for this repertoire." "...an agreeable light mezzo-soprano voice, good technique, assured musicianship, and a lively personality... Dellal was convincing in pathos, irony, and humor, and the precision of her scale work and the gleam in her eye suggest Rossini's minxes may be next: she knows where they're coming from." 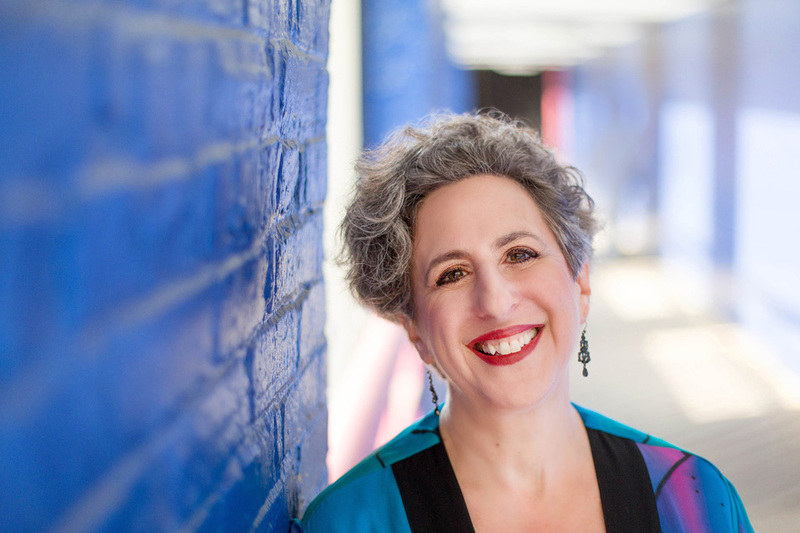 "...sung here with all due gravity by Pamela Dellal (arguably the finest of the soloists)..."
"[The mezzo songs] are all assisted enormously by Pamela Dellal's rich, firm singing." "Pamela Dellal's movingly expressive "Es ist vollbracht"...[her] solo contribution stands head and shoulders above anything else in the performance." " Dellal sings sympathetically, with bright, well-rounded tone and a good sense of line...on its own terms...Dellal's performance is far from negligible." 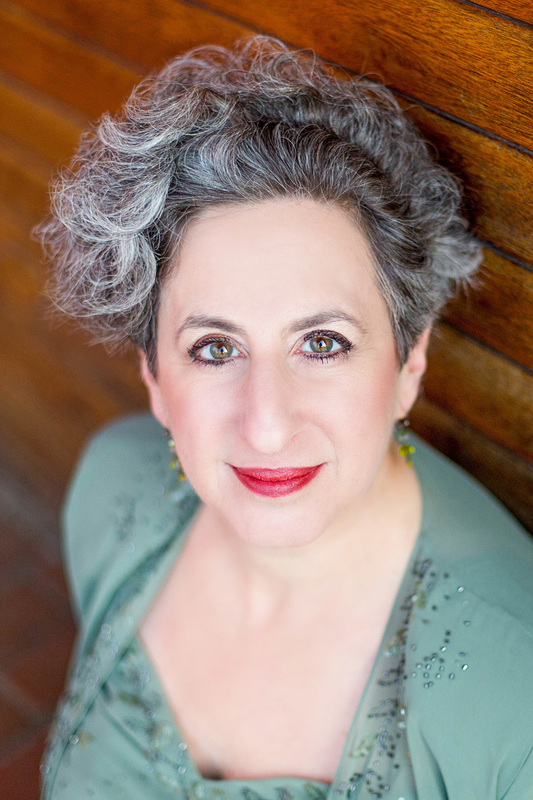 " Perhaps the most beautiful singing lies in...Pamela Dellal's limber, lustrous, intelligent delivery of the mezzo aria in "In Jesu Demut kann ich Trost."